I have two Restoration Hardware dining chairs that we use at the head of the table … they’re comfy and well-made. The only real problem I have is the COLOR! Grey is a fabulous neutral, but the color on the chairs blended in a little too well with my neutral floor resulting in a washed out look that I wasn’t loving. See how the shade of grey blends in a little to much with the floor? The Comfort Works process was so simple. They send you samples to choose from. I was debating between something in the blue family or a leather option. The Comfort Works samples are AMAZING. 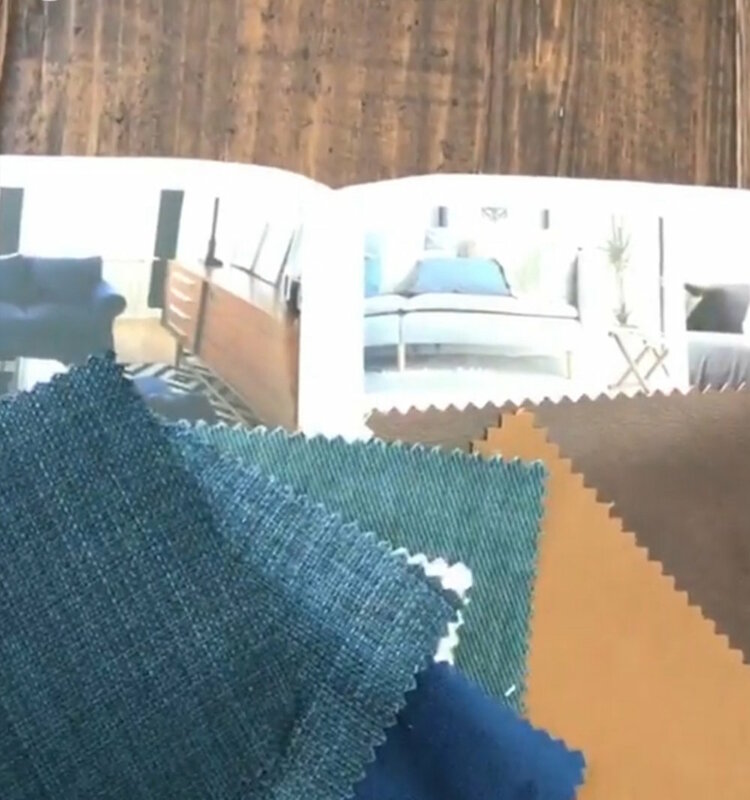 The samples are large enough to give you a real idea of the color and feel of the fabric. I selected Madison Teal in a long skirt option. I requested that my skirt be tailored instead of loose at the bottom. Once you’ve selected your fabric, you’re ready to fill in the measurements on the easy-to-use template. The communication was great … they emailed me with a clarification on my measurements. I really appreciated this because it meant they were concerned with producing a quality product that would fit. It was so easy, I measured with my own measuring tape, took a picture of the template and emailed it back to them. I received my slipcovers much faster than I anticipated. They came with a handwritten note from the seamstress which I really appreciated. A close up of the quality stitching. I love the end result! They look great and add a level of casual sophistication to my dining room! I highly recommend Comfort Works for slip covers. 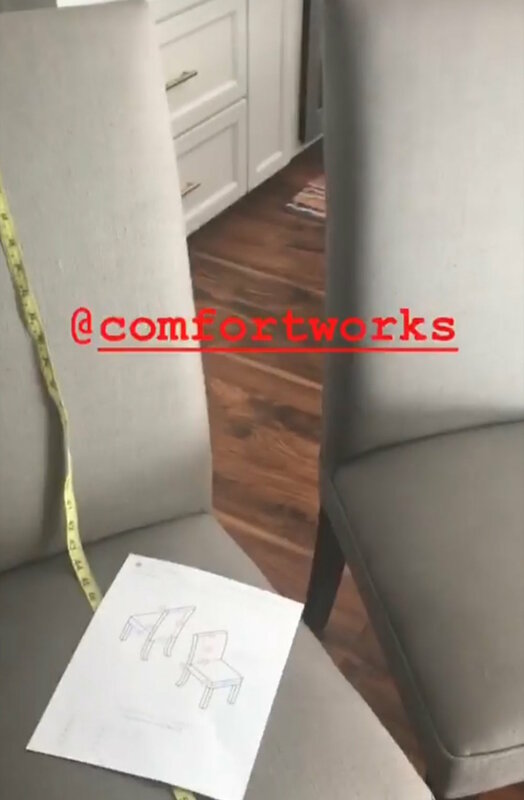 Not only do they provide dining chair solutions but what they can do for your Ikea or Pottery Barn sofa is truly amazing! You can watch the process I went through on my Instagram Story Highlight. Check back for more changes to my dining space! 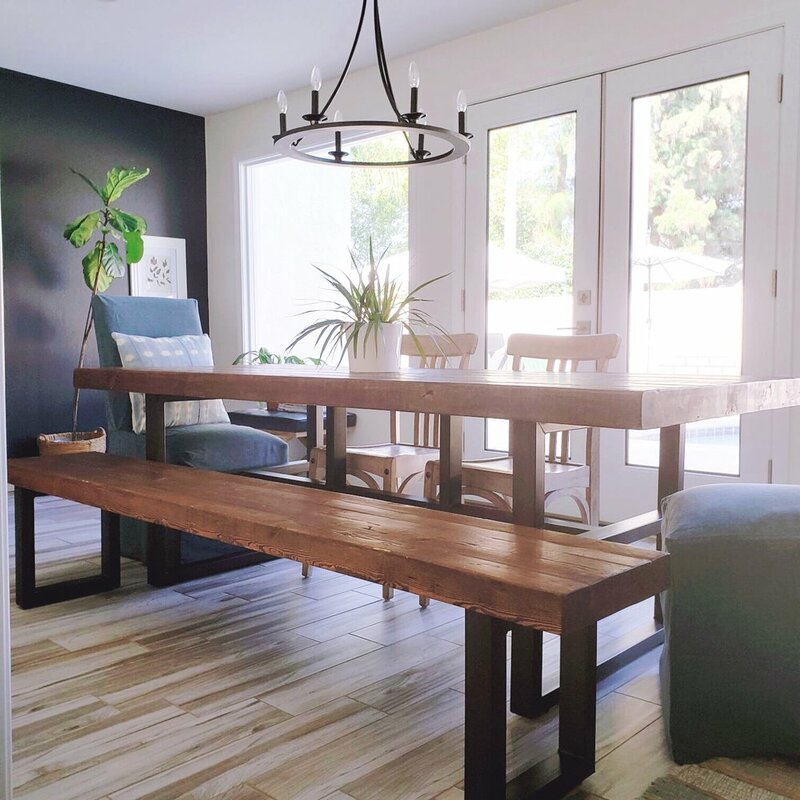 The dark wall is GONE and I’m updating the space with a new look … my slipcover dining chairs are going to look better than ever in my updated dining room!